Boccaccio, Giovanni. Decamerone. Trans. Arigo (Heinrich Schlüsselfelder?). 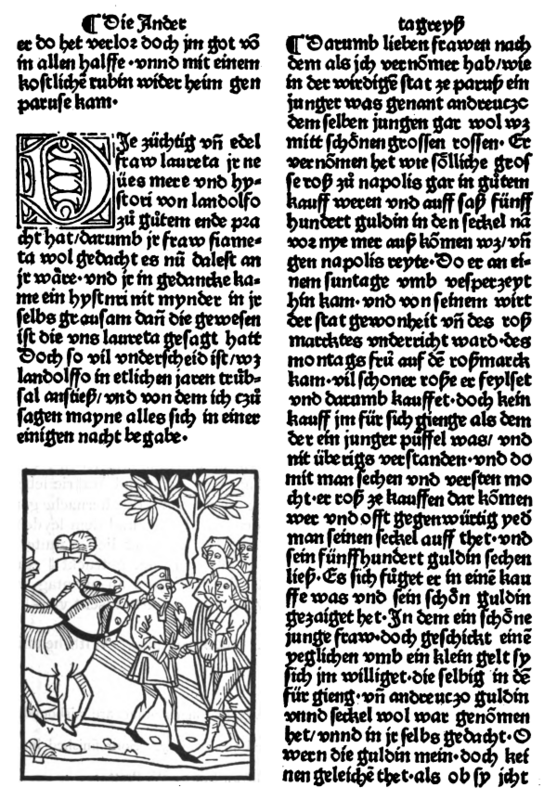 Augsburg: Anton Sorg, 18 October 1490. Provenance: John Thynne, Baron Cartaret of Hawnes. — Morris. — Richard Bennett. — J. Pierpont Morgan. — Morgan Library (ChL346). References: Ellis valuation, fol. 3b, no. 35 (£40). — ISTC (ib00731000). — Morgan Cat. 1, no. 162.